Before you head off to Castelnuovo dell'Abate on a whim, take some time to learn a few facts about it. You'll find this town 12 miles (19 kilometers) from Abbadia San Salvatore and 15 miles (24 kilometers) from Chianciano Terme. Forget the big-name attractions — it's the locals that really make a place tick. In this part of Siena, you'll find 200 of them. 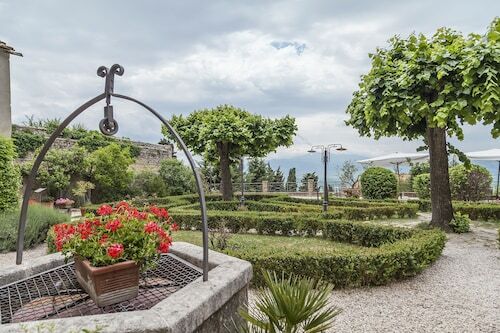 It's a walk in the park to organize a getaway to Castelnuovo dell'Abate with Travelocity. Unbelievable savings will be yours when you secure an airfare and accommodation package. And it keeps getting better — you can choose from more than 400 airlines and 665,000 accommodations. Are you after a panic-free vacation? Our Customer 1st Guarantee provides 24/7 personal assistance on our services. Spotted an even better bargain elsewhere? We'll match the price and refund the difference^. Don't you want to have a little security in your getaway plans? All of our package bookings can be adjusted with no hidden fees or charges. And as long as you get in fast, most accommodations don't charge fees either^. Every magnificent journey starts with a single step — along with a comfortable place to rest your weary head! 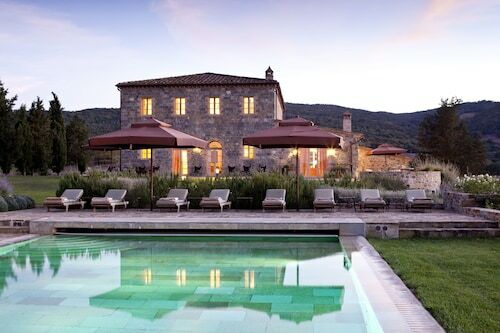 Book your Castelnuovo dell'Abate accommodations through Travelocity and you'll have 21 properties to choose from. It's not every day you take off on vacation, so why not indulge in some luxury? 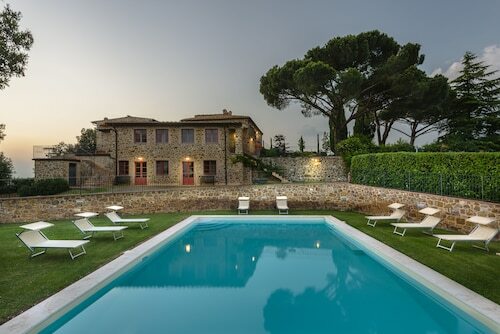 The Castello di Velona SPA Resort & Winery (Località Velona) and the Palazzo del Capitano Wellness e Relais (Via Poliziano 18) are some of the top upmarket properties available in the area. If you're simply after a comfy space to get some sleep, don't stress! We've got options for you too. 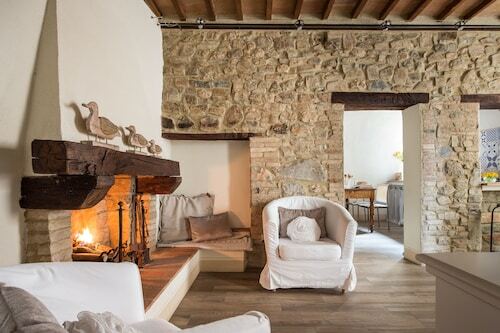 The Agriturismo Le Ragnaie (Localita Le Ragnaie) and the Residenza Palazzo Saloni (Via Soccorso Saloni 31) are some pocket-friendly alternatives. Where do you fly into for Castelnuovo dell'Abate? Luggage and passport ready to go? Great — board the aircraft to Ampugnano Airport (SAY). Once the wheels hit the tarmac, you'll be just 20 miles (32 kilometers) to the northwest from the heart of Castelnuovo dell'Abate. Can I rent a car in Castelnuovo dell'Abate? Roam the streets in Castelnuovo dell'Abate and experience the distinct culture. If you plan to explore further out, reserving a rental car via Travelocity will certainly help. Unfortunately, there aren't any car rental companies next to Ampugnano Airport. You'll need to jump in a cab or look into pubic transport if you want to journey the 20 miles (32 kilometers) into town. Abbazia di Sant'Antimo is one of the most noteworthy tourist attractions in this area. You'd be crazy to come to this vibrant town without spending some time here. Do you adore the complex flavors and aromas of a glass of red or white? Swing by Castello Banfi to learn the specialist techniques involved in making grapes into one of the world's most enjoyed beverages. Need some more options? 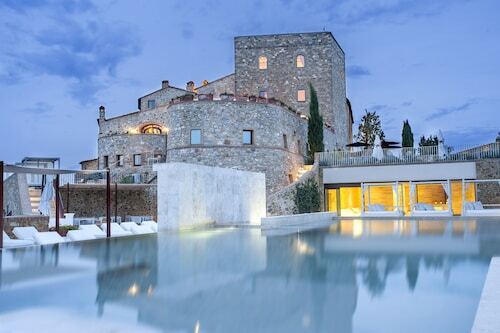 Add some extravagance to your vacation with a day at Tenuta Greppo Franco Biondi Santi. Check out the winery, book a tour and try a sample or two of the finished product! And that's not all there is. The conservation of native habitats and their wildlife is of fundamental importance. Experience the peacefulness of nature at Garden of Daniel Spoerri and see what animals you can spot. Castelnuovo dell'Abate has plenty of things to do, but if you're wanting to explore further afoot, you're in luck! You have world-famous attractions just a stone's throw from here! People from all corners of the globe flock to Siena Cathedral. 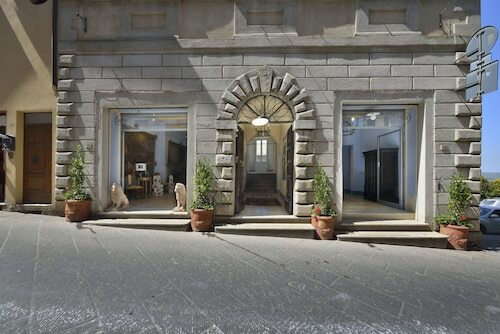 It's easily accessible from San Salvatore a Pilli, 20 miles (32 kilometers) away.